Cognitive Ink provided strategy definition, requirements analysis and user research, which then led to the interaction design for a first response app for the St John Volunteer Service. The purpose of the app was to provide St John volunteers with guidance to the severity of triage cases. An off-shoot of the St John Ambulance Service, the St John Volunteer Service provides extensive emergency response support to local community events, as well as raising funds and running youth programs. Cumulatively, their 15,000 volunteers provide over 1 million hours of volunteer community service every year. St John’s Volunteers are a well trained and dedicated medical support team. Many of their members are drawn from the ranks of the fire-service, police forces and practicing St John’s Ambulance officers who continue to contribute their time and expertise beyond their normal paid roles. The senior leadership are responsible for the continual induction and training of volunteers, many of which who later join the ambulance or medical services. Medical triage can be a mixture of many low risk cases, punctuated by sudden and more serious high risk cases. Paper based patient record assets are the main method of tracking a case. Speed of interaction - A triage process must be rapid. Any tools are assets that slow the process down will be discarded. Bedside context - The triage process (and any associated tools or assets) must fit within the patient interaction. The patient is the first priority and any tools that get in the way won’t be used, won’t be useful and may even distract from triage. Rather than presuming that a digital solution was necessary, we challenged why existing methods needed to be replaced, given their robust and well understood use. To gain a deeper insight, we went into the field at an early morning major event in Sydney and conducted interviews with St John’s Volunteer response team members. Feedback and analysis suggested that experienced responders had developed a rich set of effective internalised rules for carrying out on-the-spot medical triage. Using a Skills, Rules, Knowledge framework to analyse expertise, we suggested they were operating via well-defined, internalised and rapid Skills and Rules frameworks; classic signs of expertise. In contrast, junior responders operated using slower and more effortful Knowledge based frameworks. This means that junior members were more likely to be negatively influenced by social influences. Essentially, junior responders may have been more likely to deprecate evidence out of fear of appearing over-reactive. Even more, although junior responders can record the evidence as accurately as senior responders, we proposed they were likely to struggle with the multi-factor decision making involved with combining the various pieces of recorded evidence into a decision output. 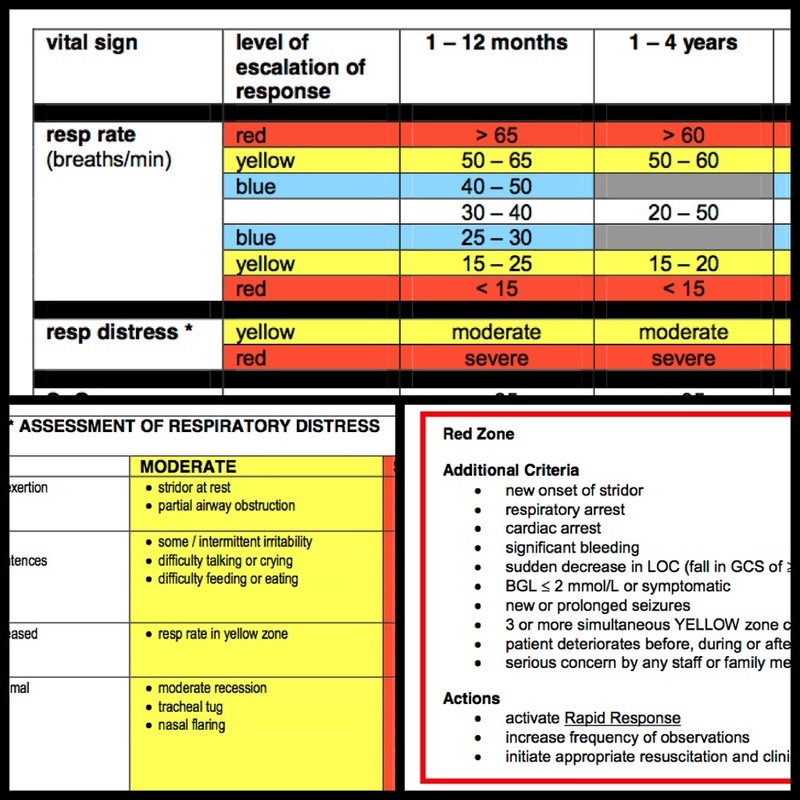 The vital signs decision frameworks are complex, with a number of interrelated severity factors across ~30+ recorded measures. The social and cognitive pressures suggested that a digital was a perfect vehicle to automate the aggregation and computational process of comparing the various rules. In effect, we needed to create a first response rules engine. An offline app (mobile) model was selected as the right channel, given the realities of ‘in-the-field’ triage and likely lack of consistent access to a computer or internet connection as well as the likelihood of ‘one-handed’ use. 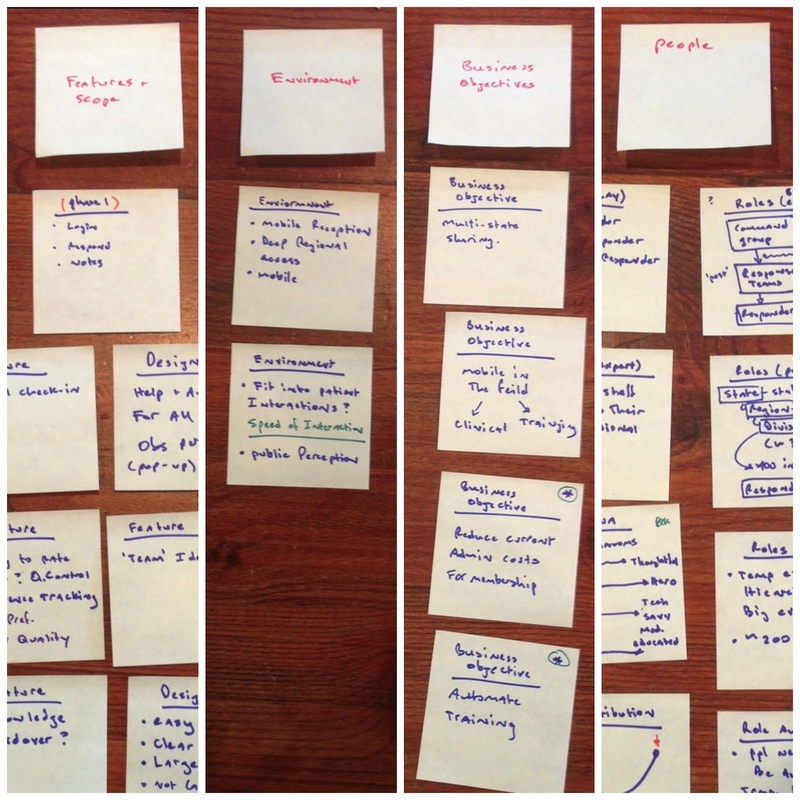 Leading from the strategy, user requirements and research, early sketch concepts were used to plot major navigational flows and views. Quick prototypes were then loaded as static images and used as part of in-field ad-hoc concept reviews with junior, intermediate and senior responders. Following from an iterative sketch and basic wireframe process, we developed a rich interactive prototype using the Axure wireframe tool. The advantage of an interactive wireframe was that it could be clearly and quickly communicate to user representatives and tested directly on mobile devices as a pseudo application. Feedback was extremely positive and led to early development prototypes on the iOS platform. The same design patterns and frameworks were also translated to the Android platform.